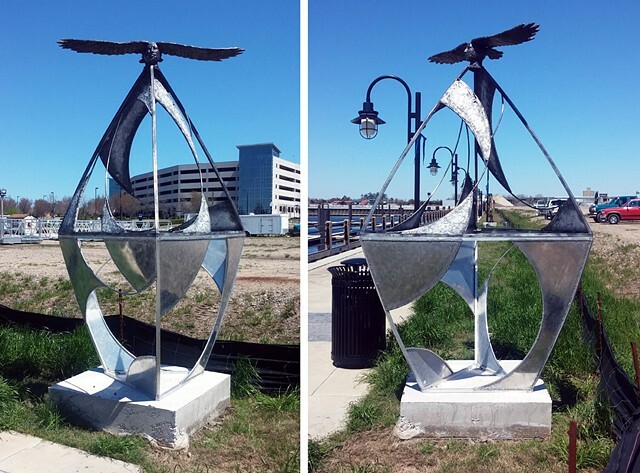 As seen in Wilmington, NC's 2015 Pedestrian Art Exhibition. Cast Aluminum life-size head with 5 foot span wings atop a pyramid atop an inverted pyramid. Its represents a shamanic transformation from man to bird or freedom of thought or the power of knowledge.